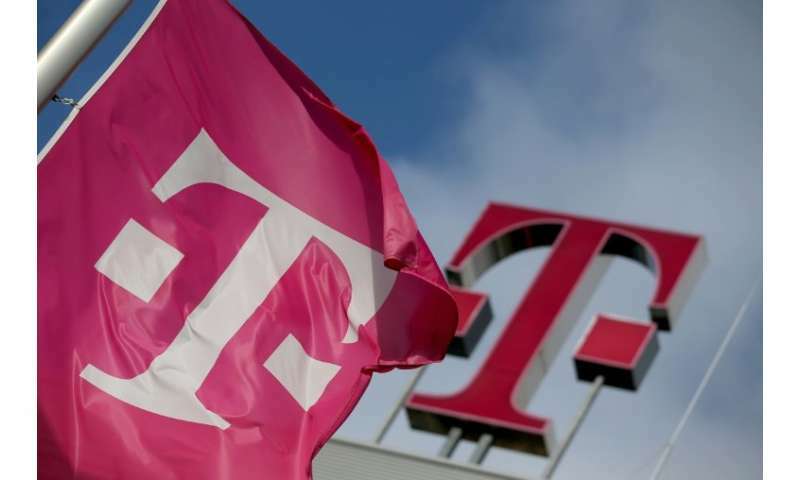 Germany's Deutsche Telekom lifted its earnings forecast for 2018 on Wednesday as it presented first-quarter results, saying fast growth especially in US arm T-Mobile would juice its operating income. Net profit at the firm increased 32.8 percent year-on-year between January and March, to 992 million euros ($1.2 billion). The group reported falling revenues, down 3.9 percent at 17.9 billion euros, as currency headwinds from the strong euro clouded the growth picture. Operating, or underlying profit also fell 11.6 percent, to 5.3 billion euros. Nevertheless, "we will remain on course for success in 2018," chief executive Tim Hoettges said, pointing to Telekom's "unique" growth and slightly increasing the group's annual forecast for adjusted operating profit to 23.3 billion euros. In the first quarter, the former state telecoms provider passed a milestone of 10 million German customers connected to the internet via its fibre-optic lines. And Telekom booked continuing growth at carrier T-Mobile US, with 1.4 million net new customers and a double-digit year-on-year increase in adjusted operating profit. But it offered was no new information about its proposed merger of the unit with competitor Sprint, which would combine the third- and fourth-largest mobile operators in America. Analysts and observers fear the tie-up could be blocked by US antitrust regulators.